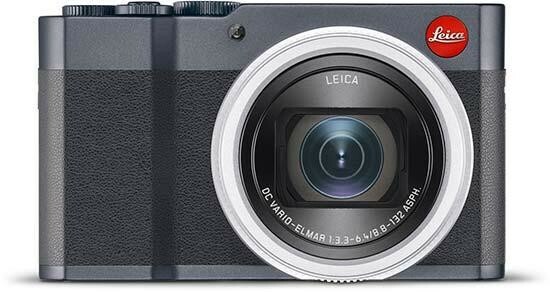 The new Leica C-Lux is a rebranded version of the Panasonic Lumix ZS200 / TZ200 compact camera. The versatile Leica C-Lux features a 15x zoom, a convenient touchscreen and exceptional design. The Leica C-Lux will be available in Light Gold and Midnight Blue colours, beginning mid-July 2018 for £875 / $1,050. June 15, 2018 – Leica Camera today announces the Leica C-Lux, a versatile compact camera that unites speed, intuitive handling and stylish design. Embodying the spirit of photographic adventure, the C-Lux enables users to bring what’s far away up close, in a pocket-sized and easy-to-use form. Featuring a Leica DC Vario-Elmar 8.8–132 mm (equivalent 24–360 in 35 mm format) f/3.3–6.4 ASPH. lens and a high-performance 20-megapixel sensor for continuous shooting at a rate of up to 10 frames per second, the Leica C-Lux adapts quickly and nimbly to every shot and effortlessly delivers high-quality photos from any distance. Also, integrated connectivity allows still pictures and videos to be quickly and easily shared with family and friends by a simple tap of a finger on the touchscreen display. Available in Light Gold and Midnight Blue, the Leica C-Lux impresses not only with its precision, accessibility and compact size, but also with exceptional design. All components of the Leica C-Lux, including the lens and one-inch image sensor, are precisely matched to one another to deliver brilliant photos on the go. With an impressive maximum ISO sensitivity of 25,600, the C-Lux guarantees pictures with natural colors and exceptional quality, particularly when used for available-light photography. Its versatile zoom lens, fast autofocus and face detection allow for enormous flexibility in almost all areas of photography, especially in spontaneous quick-changing situations. Fast autofocus with 49 metering points focuses on subjects sharply in an instant, and a continuous shooting rate of 10 frames per second ensures that even the most fleeting moments will never be missed. Intuitively designed scene modes provide valuable assistance when shooting landscapes, portraits or at night and enable users to let the camera do the heavy lifting so they can concentrate exclusively on their subjects. The built-in electronic viewfinder’s high resolution of 2.33 megapixels allows for the clarity and contrast of the viewing image to be outstanding at all times – even in the brightest sunlight. As the viewfinder covers 100% of the image field, the framing of subjects is extremely precise and users have ideal control of composition. The 3-inch touchscreen display ensures ease of handling in all shooting situations. Similar to a smartphone, many of the camera’s functions can be controlled by simply touching the screen, including the transfer of still pictures and videos via Wi-Fi and Bluetooth. The ‘Leica C-Lux’ app that supports this function can be downloaded free of charge to iOS or Android devices from their respective app stores. The touchscreen of the C-Lux features a specialized coating that protects against smudges and fingerprints. The ultra-high-definition digital video recording function with 4K resolution expands the spectrum of features offered by the Leica C-Lux. The exceptional resolution – four-times higher than full-HD – and up to 30p & 100 Mbit in MP4 format, delivers all the technical prerequisites for shooting a personal short film. Additionally, still pictures can be extracted and saved from video footage at a resolution of up to eight megapixels. The compact Leica C-Lux impresses not only with its technical features, but also with elegant design that is further highlighted by a portfolio of stylish accessories. An extensive range of accessories in matching and complementary colors is available for both versions of the camera. These include, for example, carrying straps and wrist straps for the camera in the colors taupe, blue and red; alongside an extensive collection of premium quality camera cases, protectors and soft pouches that make the C-Lux an elegant companion for every occasion. The Leica C-Lux will be on sale in Leica stores, boutiques and dealers in Light Gold and Midnight Blue beginning mid-July 2018 for $1,050.